When one first lays one’s peepers on a patch of Aster ‘Ostrich Plume’, things can go either way. Either the mind is befuddled and bamboozled by such a display of unsolicited flounce that the body involuntarily recoils, spitting and hissing like a cobra rudely awoken from its happy cobra nap. Or, the ruffled and unhindered, feathery blooms enchant you and take you by the hand to a land of soft focus and romance where the Goddess Barbara Cartland looks down fondly on her happy and perfumed flock. I am, of course, to be found in the latter camp. Though it may be with my tongue firmly in my cheek. These double blooms are produced on branching stems and in the right conditions will give you armfuls of flowers over a long and fruitful season. Plants will reach to about 60cm and their petals are recurved. Yes, recurved. Meaning they curve inwards on themselves, somewhat like elephant tusks. 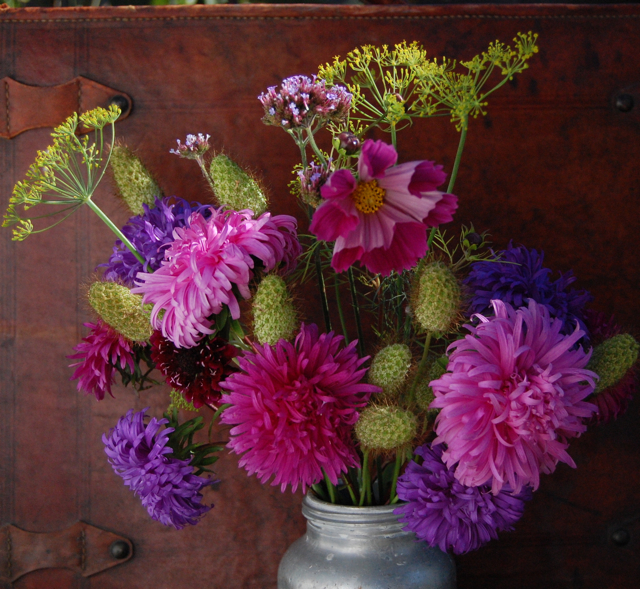 Aster ‘Ostrich Plume’…with Dill and gone over Scabiosa. Callistephus chinensis, or more commonly ‘China aster’ is, as one may have deduced, native to China. It is indeed in deepest Xinjiang Uyghur that one of the East Asian Higgledys first started growing ‘Ostrich Plumes’ for cutting. Reginald Huang-Zhao-Higgledy was stationed in China in the early 1800s during the first of The Opium wars when the Brits and the Qing Dynasty were bashing each other up over the trade of silk, silver, and opium. But being a Higgledy, Regie didn’t quite have the stomach for warfare and instead opted for love and loafing around in his flower patch. Not much is known of Regie’s later life though it is rumored he married a local girl and they settled down and lived happily ever after and everything was bloody brilliant. The End. Aster ‘Ostrich Plume’. Growing tips. Aster is a Half Hardy Annual. 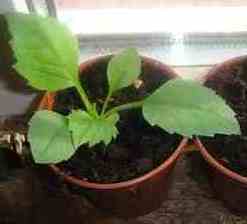 (Guide to Half Hardy Annuals) It can be direct sown into the soil from mid-April or sown into pots from early-April. In my experience, she seems to prefer a rich-ish soil, certainly plenty of compost will help. As with just about all annual flowers a free draining soil is imperative. If you have heavy clay then I would suggest raised beds or at least adding plenty of grit to your beds to break up that pesky clay. 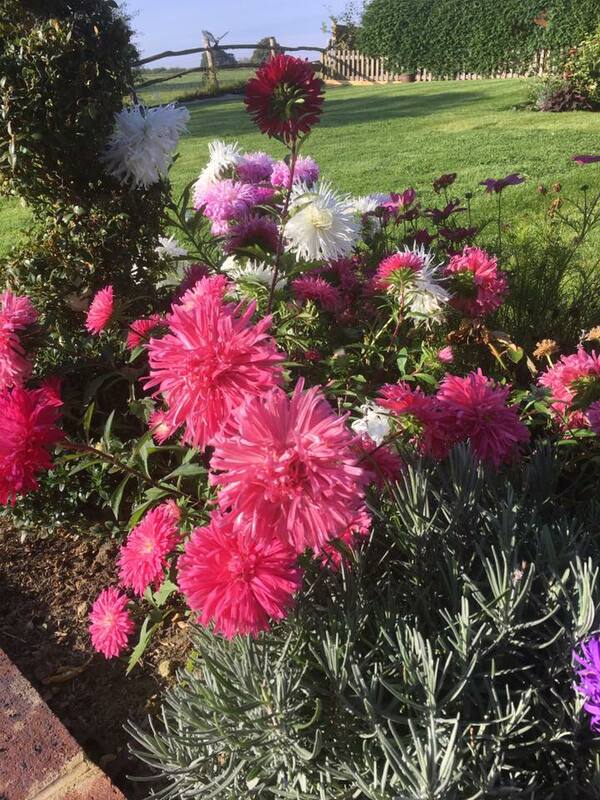 If you have any questions you can find me on FaceBook, Twitter and you will see heaps of photos of flowers, the boat garden and Flash on Instagram. You can, of course, find all my seedy goodies in the Higgledy Shop. Please share this with your network (by pressing one of the below buttons) if you think they may find it useful. #ShareTheHiggledyLove. Signing up to the newsletter will see you being sent discount codes and other seedy offers. Hopefully, you can see the box to the right-hand side where you can put your email address. 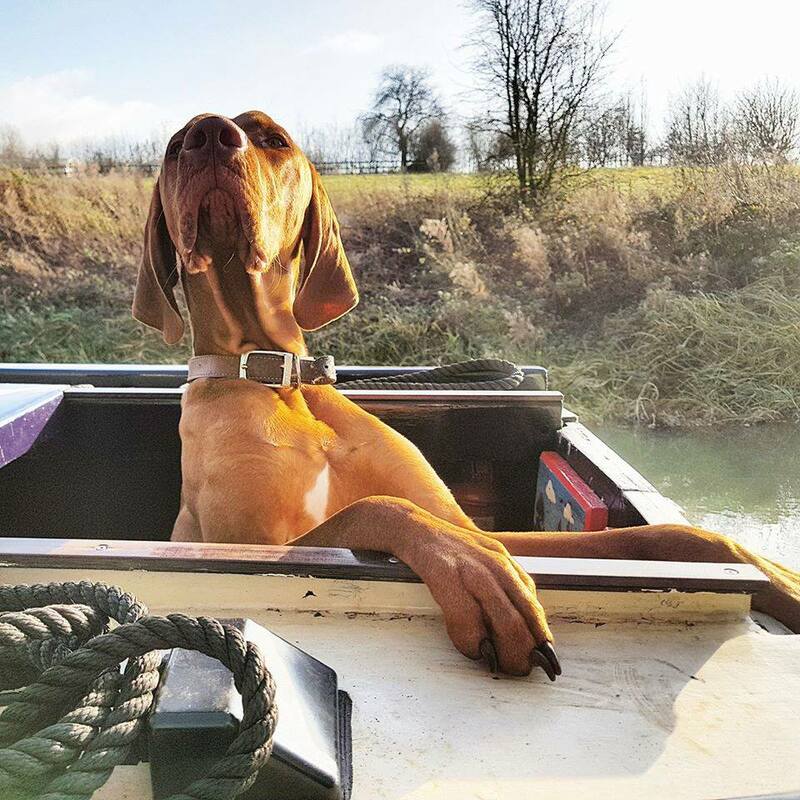 In other news, Flash and I continue to enjoy life aboard the good ship, Casper. Flash is totally Lording it. Nigella damascena. ‘Persian Jewels’ & ‘Oxford Blue’. Half Hardy Annual Flowers. A Spring Sowing Adventure.